Welcome back to Season 9! I hope everyone had a nice break and a good holiday season. As always, we’ve got a lot to get into as we enter the back-half of the Season, so let’s get into it. The plot! 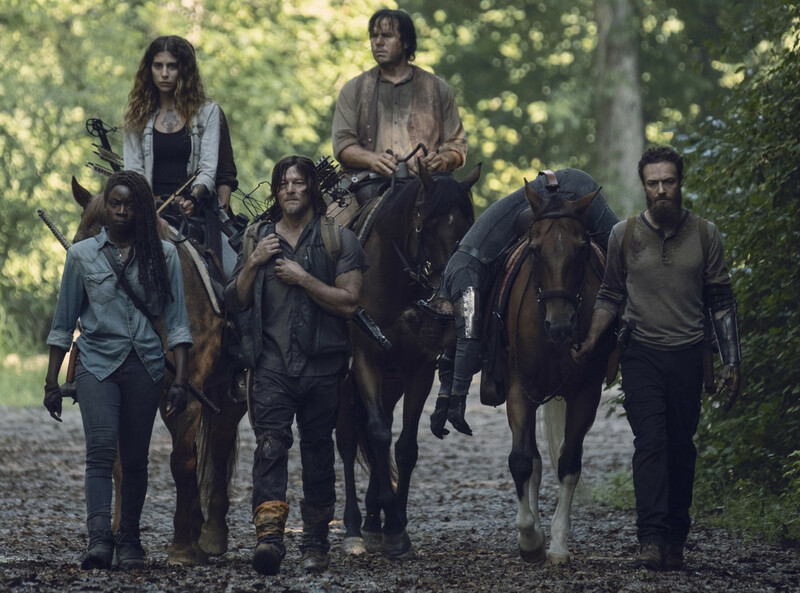 Picking up right where we left off, in the graveyard, the group quickly escapes with the help of Michonne, Magna, and Yumiko, and even get Jesus’s body as well. They head back to Hilltop, nabbing themselves another Whisperer, a teenage girl, on the way. Everyone is crushed to learn what happened to their latest fearless leader, of course, and Tara is now in charge at the settlement. Though they grieve, the business of learning what they’re facing is tackled by Michonne and Daryl. Over the course of the episode, she stresses to him that they need to do whatever they must to learn the truth. This leads first to him threatening and yelling at her, but ultimately pulling Henry into his scheme by playing on the boy’s softer heart and making him the unwitting good cop to his bad cop. The girl, Lydia, admits her name eventually but insists that there were only 10 of them and only her mother is left now. Back at Alexandria, a newly-freed Negan is caught making his escape by Judith, and warned that there’s nothing out there, but she eventually lets him leave. He heads back towards Sanctuary, now empty, and ultimately realizes she was right. He heads back towards Alexandria, only to be interrupted by Judith and her remarkable marksmanship, before they head back together. 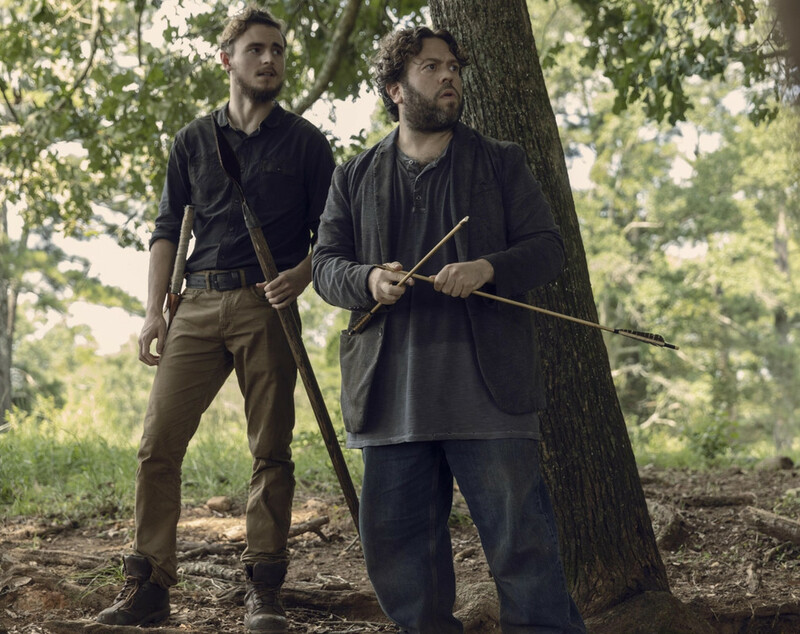 Meanwhile, Luke and Alden have gone out to look for the original group before they returned to Hilltop, and end up following a trail of Yumiko’s arrows, thinking it will lead to their friends. However, it turns out to be a trap laid by the Whisperers, who now have them surrounded. The title of this episode was very aptly chosen: “Adaptation”. This formed a theme that the entire episode revolved around, the many ways that people, that living beings, have adapted to live in this world. We’re just beginning to explore how the Whisperers have adapted–Lydia talks about how she and her mom tried to live with other groups but it never works, it’s never safe. So to be safe, they began to live among the dead, walk among them. They take care of the walkers and the walkers take care of them, and she barely remembers the world from before this, or even before living this way. Lydia also admits they would always have killed the people from the communities, because that’s just what happens now. We’ve yet to see or hear more about her lifestyle than this, and the fact that they don’t use names, so it’s hard to draw too many conclusions, but we do know by the end that she was lying about how many of them there were. But damn, she’s a good liar. Daryl’s onto her, sure, but at the very least this girl knows how to use her very real terror to sell whatever she’s saying. Daryl, too, is making certain adaptations, though his are geared quite specifically towards manipulating Henry and Lydia in order to get whatever information he can out of her. It’s a smart move, and for a guy who hasn’t been around people for very long, it’s very crafty, too. 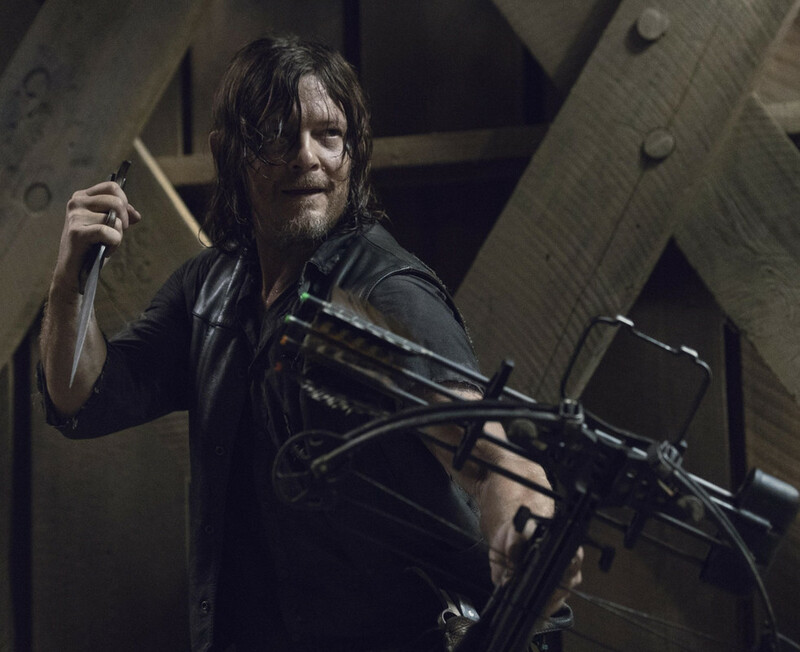 Daryl wasn’t shown to be a manipulator like this back in the day, and I’m curious if we’ll see what got him to pick up this skill, or lead to it. Something to do with those marks on his and Michonne’s backs, maybe? Or with what lead the communities to become so cut off from one another? Negan’s adaptations we get to see in real-time, on the other hand. It’s been six years since Negan went into that cell. Six years since he’s been outside, since he walked the land, since he killed a walker, since he led the Saviors and fought a war. The world was a different place when he last walked free, and he was a different man–but it takes him a while to fully realize this. Judith is quite right when she tells him there’s nothing out there for him, or anyone, but he has to see it for himself. Negan’s first encounter with the walkers does not exactly go as smoothly as it would’ve once upon a time. He loses his meager supplies, and the river he drinks from makes him sick. He tries to get some new clothes, only to be threatened by a pack of wild dogs–dogs who also look like they’ve adapted to the new world and may once have been domesticated. Or at least, descended from domesticated dogs. Then, upon returning to the Sanctuary, his trademark whistle goes unanswered. The factory is utterly empty of people, supplies, everything. There’s nothing here for him anymore, nothing but the walker of the last Savior, but eventually he has to kill Big Richard and accept that he can’t and won’t survive on his own out here. So, sure enough, he heads back to Alexandria, and hilariously, Judith is waiting in the middle of the road for him and, just like she promised, she shoots him when she sees him again. Well–shoots his bike. And he turns himself in without much more fuss than that, really. I’m enjoying the rapport building between these two, both the writing and the acting is really working for me. I also like that we’ve gotten it in small doses and that it’s just one aspect of the new Rick-less show, but not the central part of it. It’s also interesting in how this relationship is its own thing, but still very much informed by his relationships with the rest of her family, including Carl, Rick, and Michonne. Some smaller adaptations happened as well. Sadly, Aaron is reacting to Jesus’s death and the Whisperers reveal by wanting to pull back to the safety of Alexandria and shutting themselves off from the other communities. After how much he was pushing to do the opposite in the last few episodes, this is disheartening, but it’s not surprising. His good friend, and one of the most capable people he knew, was just killed right in front of him. Henry doesn’t get a lot of screentime in tonight’s episode, and he’s in the midst of struggling to adapt to his new life in Hilltop and find his place there. Even Luke is trying to adapt, volunteering to join the search for the missing group, actively stepping up to become a part of the Hilltop community. Unfortunately, this leads them right into the Whisperers’ trap, which may itself be a new development for that group? It’s hard to say, as it’s unclear just how much they’ve interacted with other groups before, but judging by how they approached these people at first and how they move by sticking with herds, it feels like they aren’t so direct as they’re being right now. And Michonne, meanwhile, is…not really adapting at all right now. Her changes happened a long time ago, and we still don’t know all the details, but it’s notable that even a potentially large threat like this isn’t yet getting her to change her mind about reaching out to the other communities. They don’t know the true scope of it yet, though. Hopefully when they do, that’ll affect her somehow. 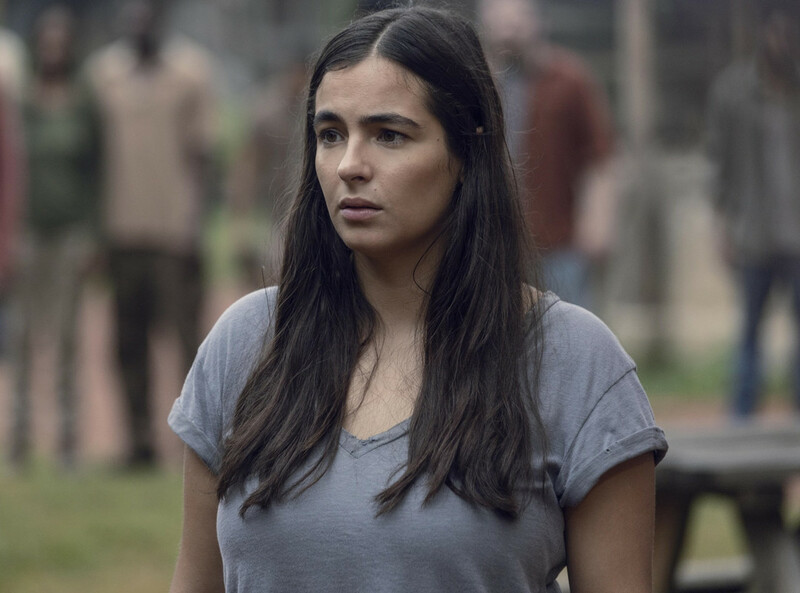 Also Rosita, who’s dating Gabriel, is doing her damnedest to avoid Eugene’s attempts to confess his love while also informing Siddiq that she’s pregnant and it’s his baby. And that’s the episode! 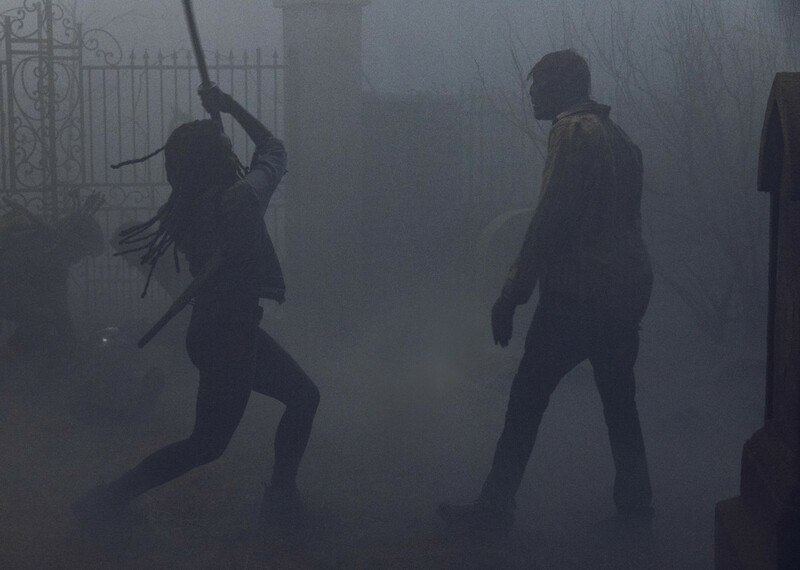 As tends to be the case with the TWD season and mid-season openers, there was a lot of setting up plots for this half of the season, so while the episode was largely straightforward, I enjoyed the thematic commonality. Another cool tidbit about the episode that I heard while watching Talking Dead: that clearing where Negan is on his knees, getting sick from the river water? That’s the same clearing where we first met Negan, where he forced the entire group to their knees and where he killed Abraham and Glenn. Now he’s the one kneeling there. How cool is that for coming full circle? A straightforward episode for the most part, but enjoyable nonetheless. And despite that, the major plots were all tied together thematically very well, showing us the different ways people are adapting, or already have, and how those adaptations differ. Despite the new threat, our band of survivors aren't quite yet coming together the way they'll need to, but here's hoping they get there. Overall, I'd say this is a solid but average episode for this show.